This week’s parsha is one of the driest in the 5 books. It reads like a set of Ikea instructions. There’s no story and there’s not even weird Mitzvahs for you to ponder. 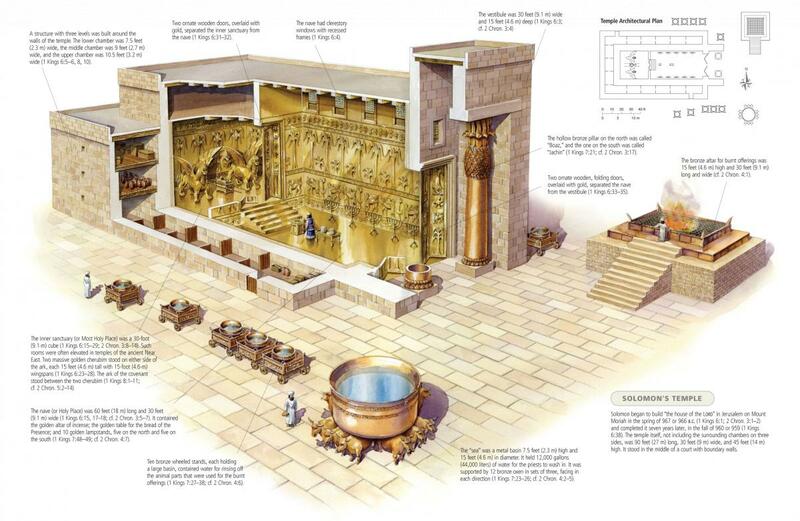 It’s all about building this special place called the Mishkon (a portable Temple*) where God’s holy presence can dwell. *NOTE: Just to be clear there was only 1 Temple (it got destroyed and rebuilt and destroyed.) Shuls are great places, but they are not a substitution for the Temple. And this Mishkon thing will serve the Jewish people in the desert until King Solomon builds said Temple. Well, that reminds me of a joke. Great, God is everywhere and He surrounds us. That leads to two questions. 1) If He’s all around us, isn’t that like saying if everything is special then nothing is special? 2) If He’s everywhere why would we need some special holy Temple? Well to understand that, we need to understand the Jewish concept of Holiness. What is holiness? Something someone sprinkled holy water over and said a prayer? And now it glows and repels vampires? Not exactly. The Jewish word for holy is Kadosh and is the root for the following words; Kiddush (prayer over wine on Shabbos), Kaddish (a part of the service to praise God’s name), Kiddushin (marriage). And they all have one thing in common, separation. Kiddish before your meal separates you from your day. The Kaddish is spoken at every separate part of the prayer service, like commercial breaks of a TV show (l’havdele, I apologize for the comparison.) And marriage, the ultimate separation. You and your spouse enter into a unique relationship that you commit to sharing with no one else. Making something separate makes it special. In a religious context, the more separate you make it, the more holy it becomes. A prayer book is holy, but they become worn out. If you drop it, you kiss it and it’s not that big a deal. But a Torah scroll! You keep that in a decorated closet. And everyone has to stand up when the doors open. And if you drop one, everyone has to fast for a month. Our God has a place name. The Kotzker Rebbe has a different answer to Rabbi Goldberg’s question from above. His said, “God is where you make a place for Him.” When you make a place for God in your life, that’s where you’ll find him. That time, those thoughts, those prayers are holy moments. In fact, one of the names of God translates to The Place. But you can’t deem anything you want to be holy. There are things (behaviors, places, times) that are inherently holy. But it’s not always obvious. Acts of loving kindness (totally obvious),The Sabbath (maybe once you experience it), Tefillin (never would have thought so in a million years). And you can never make a bathroom holy. It when you do these acts, recognize that they are special, and you let God into the process of doing it, that you reveal God in the world. And when you and a group of people come together to do such things, it becomes even holier. So what’s the holiest thing? The Temple (actually it’s the Kodesh Kedoshim holy of holies, within the Temple, but it’s all connected). Why would God need a throne? A home? This Temple? As usual, the answer to any “why would God need…” questions is he doesn’t, it’s for us. 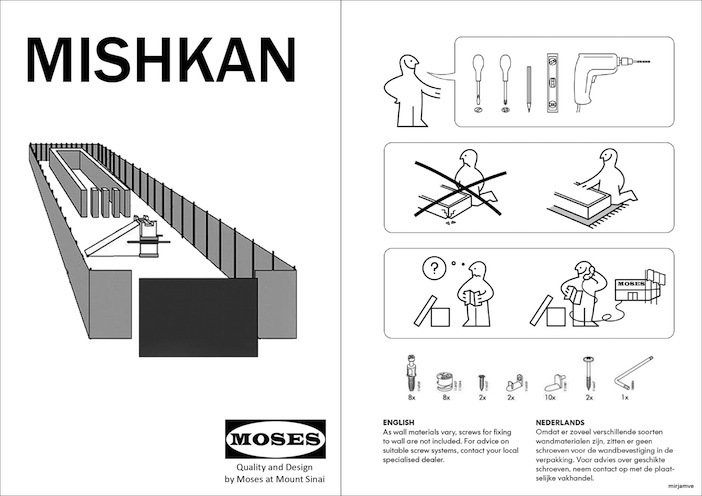 The Rabbis say, “I will dwell in their misdst” means “I will dwell in them.” God tells us very specifically what and how to construct the Mishkon and as a nation we all donated money for it and we all built it. It’s one of a kind (it contains the Arc of the Covenant) and is something every Jew shared. A sanctuary that was unique to one nation. What could be more holy? Even though it was already built and destroyed centuries ago, when we read about it and struggle though those boring and intricate details, we’re rebuilding it our minds together. We keep it alive, learning about it and we create that space within ourselves. A new dwelling place for HaMacom. The holiest of places. God willing, soon one day we will experience tangible holiness on Earth once again and actually get to rebuild the Temple. And thanks to this week’s parsha, we’ll know how to do it.